This call to action prompted me to think about how the provision of financial services can advance the rights of the poor, and reminded me of my first-hand experience with Slum Dwellers International (SDI) in Uganda. SDI is a grassroots organization of the urban poor that started in India in 1996 but now works in 33 countries. At its core is the concept of savings – a few interested individuals form a standard savings group that offers small loans. The national chapter is built on a hierarchy of regions and networks of these savings groups. When group members meet and make their weekly deposits, they also contribute to a community account that is available at the regional level for larger projects like the building of sanitation units. Younger federations focus on building out the national organizational structure and solidarity among members by having them manage enumeration projects in which they map and census entire slums. But what’s compelling about SDI is its use of the organizational power of the savings group as a tool for political engagement. The underlying theory is that once there is a critical mass of urban poor that can demonstrate the ability to manage finances (through savings and loans) and projects (i.e. enumeration), it is harder for politicians to ignore them in policy-making process. They go from disadvantaged groups that receive the “expert” solutions to poverty to a political constituency with a voice. In Uganda, the political engagement manifested in the form of municipal forums. In each major municipality, local government officials, policy makers, and federation members sat at the same table to create slum upgrading programs. In some instances, federation members had direct control over the forum’s projects and oversaw their implementation. 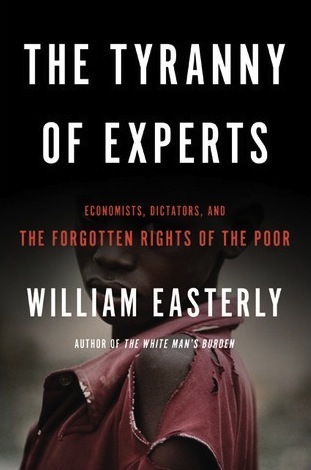 Part of Easterly’s thesis is that for too long, development trajectories have been decided by either foreign or local autocrats without the inclusion of the voice of the poor. Through the combination of partnerships with existing power structures and the creation of alternative ones like SDI, the poor have more options to affect change in their community than only waiting on elected officials. When federation members present at the World Urban Forum (which they do annually) to these very experts, the power dynamic shifts and development is no longer something that is “done” to the poor. A lot of SDI’s success to date is anecdotal and yet to be rigorously evaluated. However, to me the model offers an intriguing example of the potential for financial services to empower the poor in exerting their rights. It’s less about the individual or household and more about wider social change - savings as a means to mobilize communities, not an end in itself.